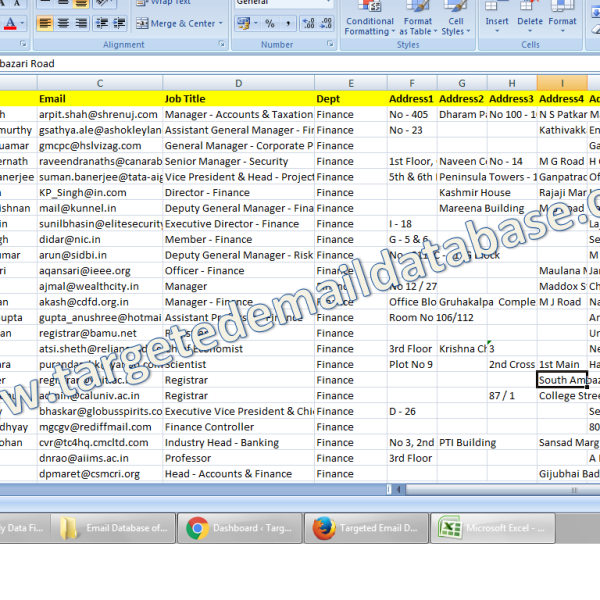 Email Database of CFOs & Finance Heads is an Official Email Id List of CFO & Finance Heads in Different Companies & Corporates. Details: Email Database of CFOs & Finance Heads is an Official Email Id List of CFO & Finance Heads in Different Companies & Corporates. Fields Mentioned: Company Name, CFO & Finance Heads Name, CFO & Finance Heads Official Email id, Designation, Company Profile, Phone, Industry Segment, Address, Location etc (Check Samples for details). Usage: Extremely useful for Selling or Marketing of any Product or Service related to Finance, Commerce etc in Corporates & Companies. Why to Use this data: It will help you to reach the Target Audience & Decision Makers directly. Quantity: 47 Thousand 319 records. Location: Pan India (includes all major cities and State capitals). 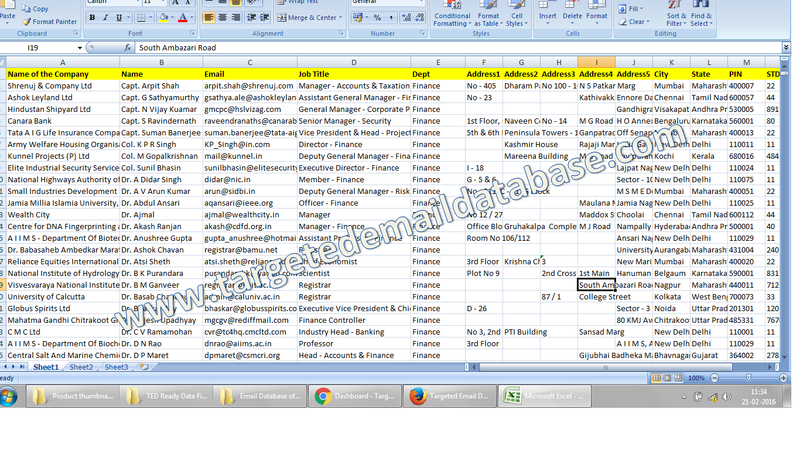 promoted corporate accounting & tax services with this data for one of my clients. pretty decent results. though the bounce rate was a bit high, but finally got 32 new clients. not bad. not sure about ROI, but it definitely increase the visitor to site and generated good response for our finance related seminar & workshop.